John Tsang posted his post-election concession speech on his Facebook account in both English and Chinese on Sunday. However, quite a few sensitive and sensational remarks can only be found in the Chinese version, remaining untranslated in the English version. Since his mother tongue is Chinese, it would be reasonable to speculate that Tsang had the ideas for the speech in Chinese first. John Tsang. 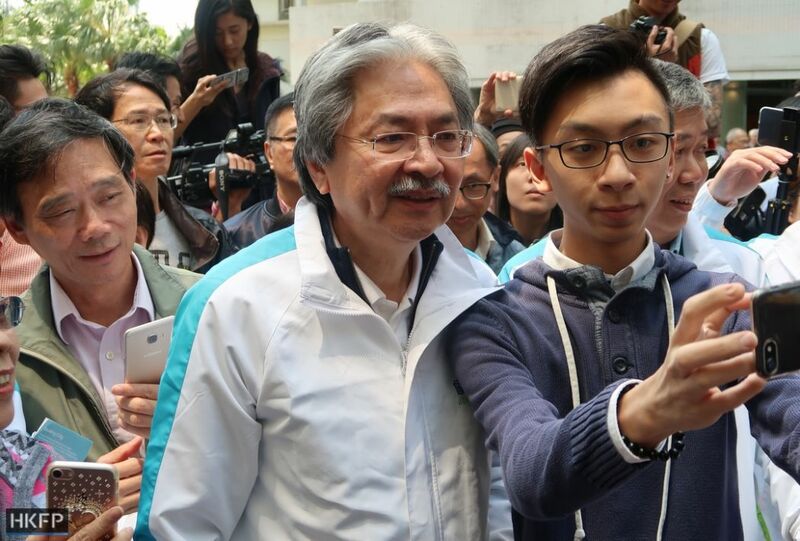 Photo: John Tsang, via Facbeook. 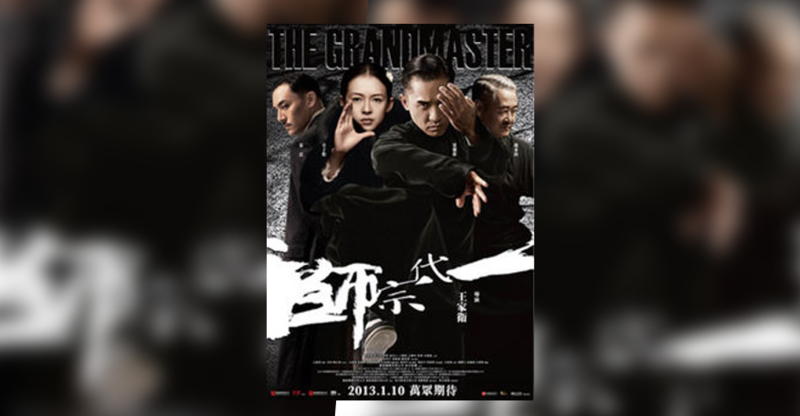 With the help of metaphors or similes and references to classic Hong Kong movies, these Chinese remarks, to many a Hongkonger, could be interpreted as subtly suggesting the reason for, and implication of, Tsang’s defeat, satirizing Carrie Lam and C.Y. Leung, and expressing his own localist commitment to Hong Kong. Today, members of the Election Committee have made a decision for the people of Hong Kong. I accept this outcome, and offer my heartfelt congratulations to Carrie, our next Chief Executive, and I wish her every success. I believe that Carrie, like myself, will also stand by the core values of Hong Kong. I wish to call upon all of you to lend her your full support, so that she and her government will be able to bring about a more harmonious future for a better Hong Kong. I wish to thank all the EC members who have given me your nominations and those of you who have voted for me today. You have stood by me and the values that I stand for in the face of immense pressure. I am sorry that I have not been able to meet your expectation. I wish that you could all lend your support to the new Administration, and continue to stand by Trust, Hope and Unity, values that we all treasure. I also wish to thank my companions in this election campaign – not only my family and my super campaign team, but also the volunteers who call themselves “small potatoes”, the thousands of citizens who have made generous donations to support my campaign, and all the unsung heroes behind the scene. Without you, this campaign would never have made the difference that we have been able to make in the past two months. I truly believe that what we have left behind is not just a legacy that will be forgotten, but genuine hope for a better future in Hong Kong. To my 180,000 former colleagues in the civil service, I want to tell you that I am proud to have been part of this sterling service in the past 34 years. I am sure you will continue to give your very best in the most professional and dedicated way in serving Hong Kong in the years to come. Fellow Citizens, words cannot tell how touched I have been by every handshake, every selfie and photo opportunity, every conversation, every quiet word and loud chant of encouragement, and every card, letter and facebook message that you gave me. You have been the single largest driving force that has helped me maintain my optimism in this campaign. In fact, you have made me a better person in the process. The Bible says: “ I have fought the good fight, I have finished the race, I have kept the faith.”But please, do not lose heart in Hong Kong. Because I believe in you. Because I believe in Hong Kong. 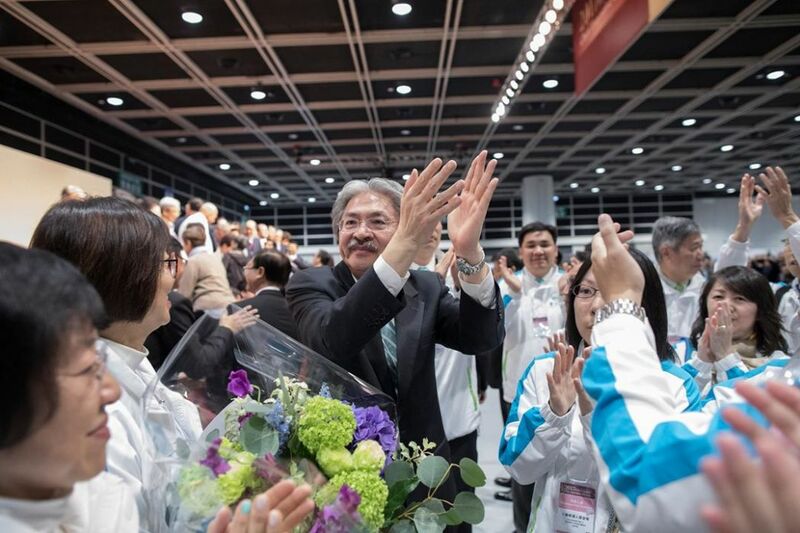 Concerning his defeat, John Tsang compares it to a football match and dream, and advises against putting all hope in a single person. Although “This [election] is entirely controlled by the Beijing government, it’s a selection, not an election,” says Nathan Law, a young pro-democracy legislator swept into office in the wake of 2014 street protests agitating for more open elections. John Tsang also compares the election to a dream. This could be interpreted as a Freudian slip of tongue or pen on the part of John Tsang, which insinuates that it is high time Hongkongers woke up from their dream of achieving democracy under the rule of Communist China. This might remind quite a few locals of Po-Chih Leong’s (1984) Hong Kong war drama film, Hong Kong 1941, which depicts the predicament of three Hong Kong young people during Japan’s brutal occupation of Hong Kong in the 1940s, to which some activists of Hong Kong have likened China’s takeover of Hong Kong since 1997. Those who have gone through all sorts of betrayals, treacheries, sellouts, in joining social movements in Hong Kong, like the author of this article, will particularly be moved by this piece of advice. “Ingratitude towards great men is the mark of a strong people,” says Winston Churchill. 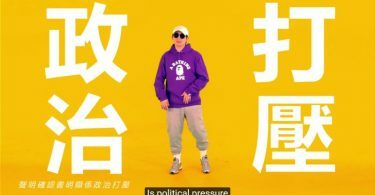 In addition, before the phrase, “my super campaign team,” as in the English version, “I also wish to thank my companions in this election campaign – not only my family and my super campaign team, but also the volunteers who call themselves ‘small potatoes’,” the Chinese phrase, “no money can buy” is added in the Chinese version. John Tsang. Photo: Facebook/John Tsang. 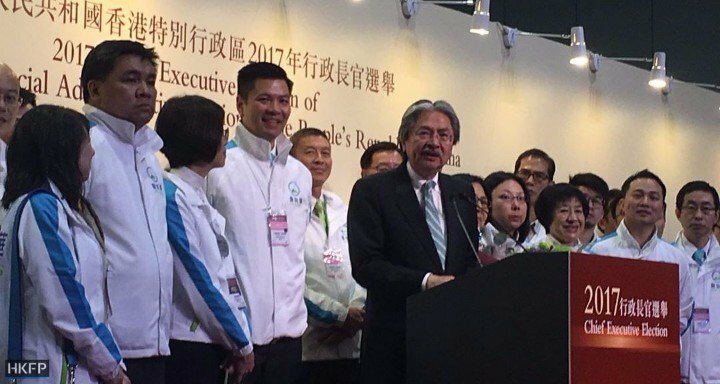 Concerning the current Chief Executive, C. Y. Leung, John Tsang calls upon “all of you to receive the coming five years with a tolerant attitude, for we must work together to make up for the five years that we have lost.” To some, this seems to suggest the unpopular Chief Executive, C.Y. 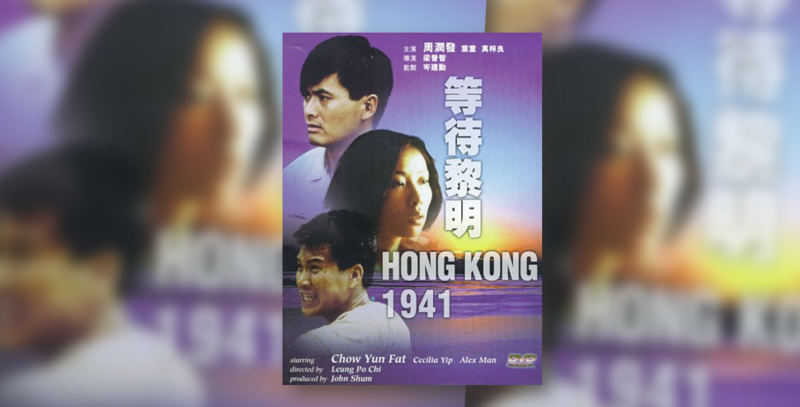 Leung, during his five-year term of office, has wasted five years for Hongkongers’. Chapman Chen has a Ph.D. in Sinology and is a translation scholar, green activist, and a political commentator. He founded Local Press in 2014. 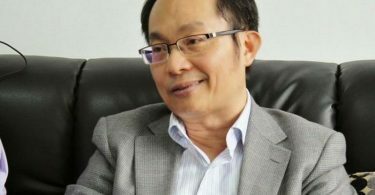 Dr. Chapman Chen has a Ph.D. in Sinology an is the founder of Dr. Cantonese. He is a translator, a linguist, and a green, vegan activist. Chen has 30 years of professional experience in interpreting and translation, taught at universities for a decade.